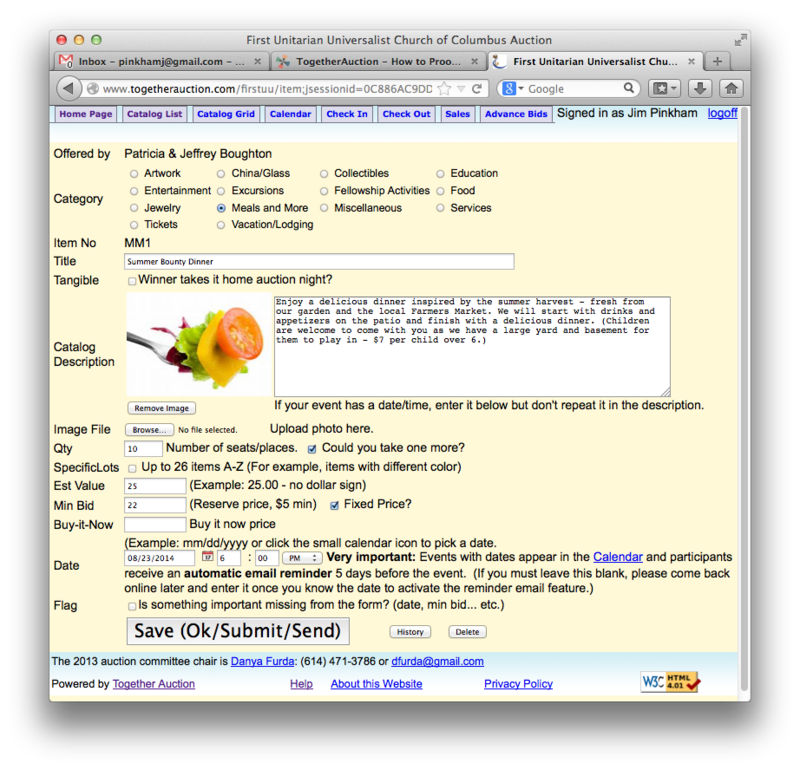 The first step to proofread catalog items is to login with your volunteer password. 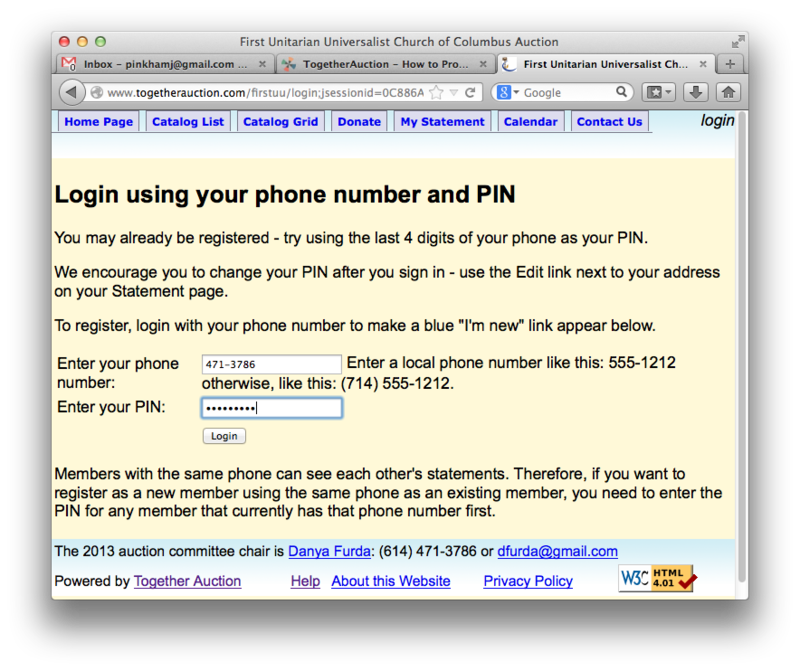 On the login page, enter your phone number but then for the PIN, instead of your usual PIN, use the volunteer password. You can change most anything. After you hit the big Save button, it will go back to the catalog page, but it will go back to the top. If you want to return to where you left-off, use the back button twice. If you want to change the donor name, it isn't done thru the item edit screen. Instead, you can change the name of the member (fix spelling) by clicking on the member's name instead of the item number to get to the member's statement. From there, click the big blue Edit link to change their name. If you want to change who donated an item from one member to another, you'll need the administrator password, not just volunteer. First make sure the member you want has been entered and find out it's internal member id number. 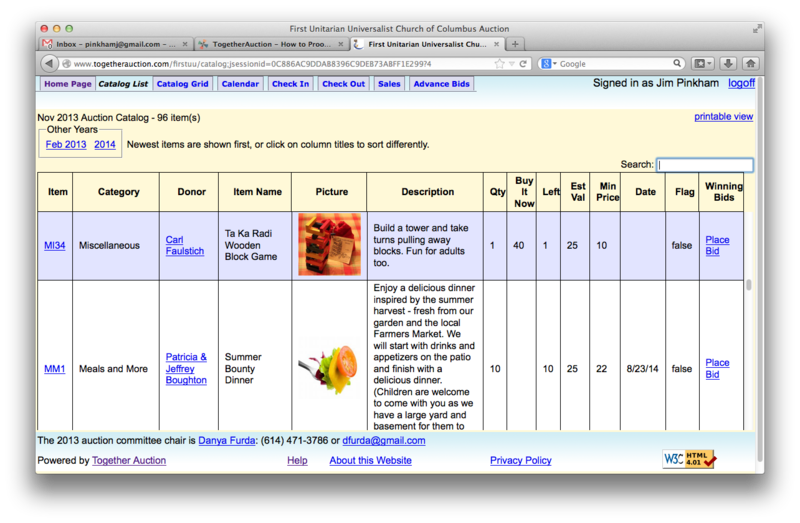 Then, when you are editing the item, change the internal member Id to the desired Id. As you edit items, it may be helpful to see what you've done in the past or what the original donor might have entered - there is a little History button on the item edit page next to the save button - it can show you what was changed when and by who. 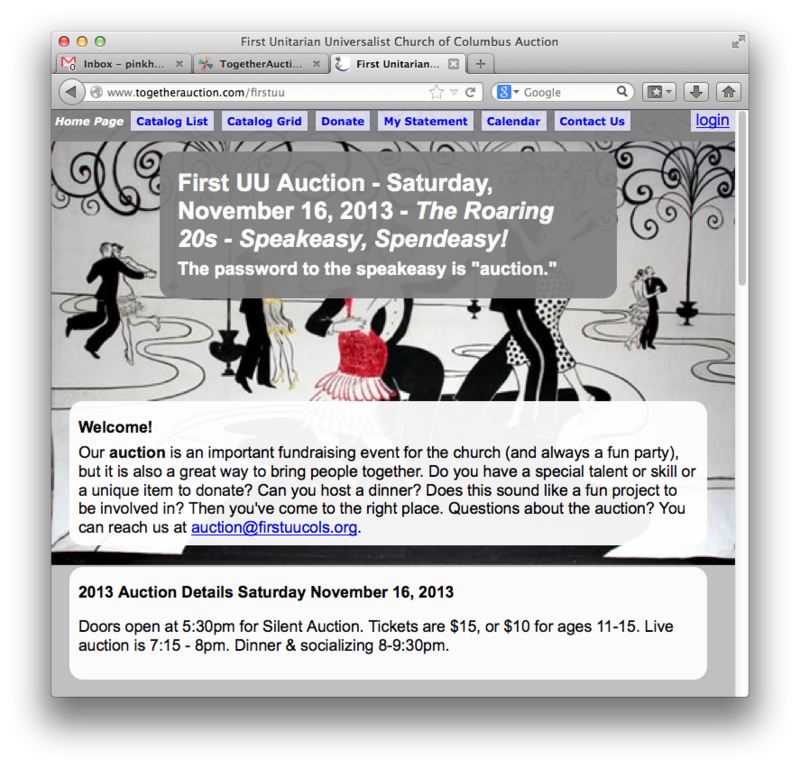 Winner takes it home auction night? (Tangible) checkbox on the item screen - having this set will make statements say 'Collect Item At Auction' on those items.